Testimony of a clash with a new reality where natural beauty blends with the harsh reality of destruction and violation of human rights. Laura Grassi is an environmental scientist who has traveled in South America and has shared with Rainforest Fund and its followers her thoughts, frustrations and emotions of situation in the Amazon. My first experience in the Ecuadorian Amazon region was about 2 years ago, precisely in mid-July 2012. I worked on a project in the Cajas National Park in the Southern Andes in collaboration with the Univeristy of Milan-Bicocca and the University of Cuenca-Azuay. Our study focused on the Park’s soil and the impacts that result from grazing , tourism and natural erosion agents. In the middle of the project I took a week-long trip to the Ecuadorian Amazon rainforest, precisely in the north- east of the province of Napo, in the Gareno district where there is the Huaorani’s reserve. Along the road that leads to Gareno and into the forest, is one of the many known oil wells that spills black gold from the bowels of the earth This is happening in an area with the highest index of the world’s biodiversity . During my trip, I stopped and talked with a employee of the Central trying to get some more information. He informed me that the area is monitored by cameras and constant noise and sounds disturb the peace of this magical place – a place where one should tiptoe, with respect and admiration. Unfortunately, the oil companies have destroyed much of the lifeblood of the forest. The clerk told me that one of the companies in the region is from China and is active 24/7, stationed in the area for approximately 3-4 months. Then, they dismantle everything. This arrangement is like a bee sucking nectar from another flower, leaving behind pollution, destruction, human, animal and plant death. The impacts arising from mining pollution affect all the region’s biomes: the drinking water, the land, air, soil and plants are all negatively impacted and the health of animals and humans become vulnerable as the pollution spreads up the food chain due to the dumping of toxic and waste oil into the surrounding environment. Furthermore, the oil companies are responsible for the deforestation produced by the construction of heliports, stations, streets, fields, seismic exploration and, consequently , from colonization induced by these operations. Emissions are pumped into the air containing a large amount of greenhouse gases – gases that produce acid rain – and other pollutants that contain dioxin, a highly toxic substance. The contamination of water sources has had unprecedented negative impacts on the traditional lifestyle of the people, causing an exponential increase in the incidences of serious clinical diseases such as cancer, birth defects, miscarriages and other diseases. After this direct confrontation with a reality, that until then I had only known through the media, the despair and helplessness are concretized instantly. My co-worker and I, together with our guide, arrived with the jeep to Gareno where we began to taste another world. I am not exaggerating when I say that staying one week in the forest was a discovery. 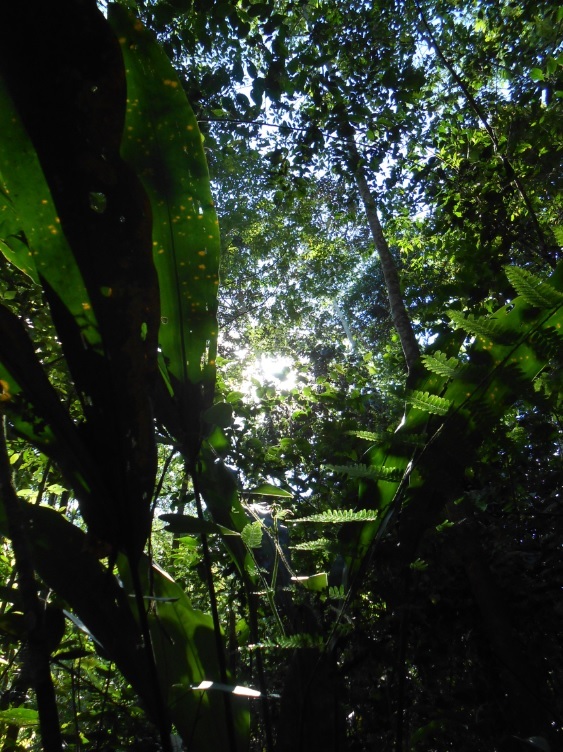 Just one week is like living a year of life on earth : outside of the forest, you have a vague idea of how the world is and how much beauty there is around you but you don’t know the ultimate meaning of the rainforest’s peoples. Our first encounter with the Huaorani people was with a woman who welcomed us into her home: meeting us barefoot, walking in the mud. Inside the wooden Cabaña, where she lives with her children, there was the fire which prepared chicha, and her 5 year-old daughter holds in her hands the little brother of 6 months; chickens run around, ash everywhere and strong humidity. So many emotions, doubts and curiosity, danced in my mind. What predominates over the many curiosities of the moment is the sense of inadequacy that I feel being there: contrasting ideas about the meaning of my visit to this village , in the everyday life of this woman and the life of a people so different and so far from our own styles of life. 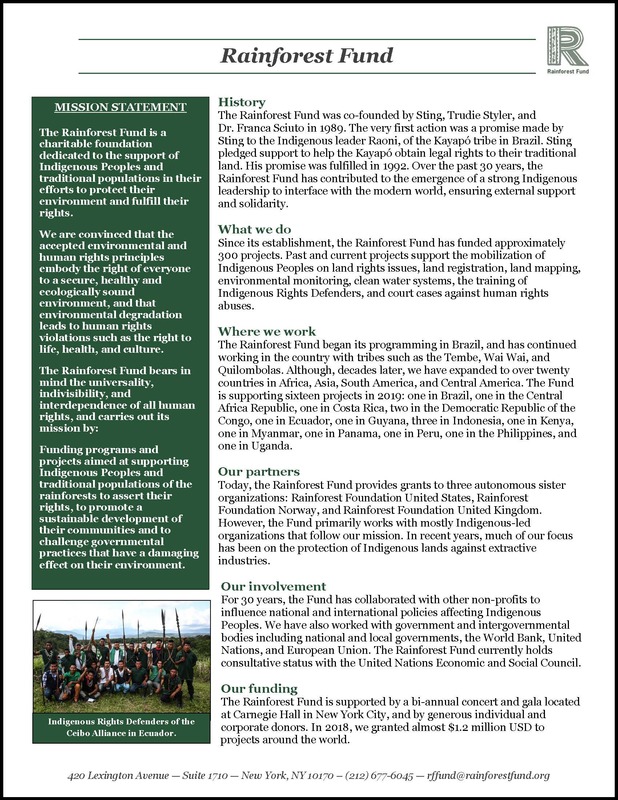 I was a curious witness about this hidden reality that deserves to be told and shared and I wanted to help the indigenous people in their social and environmental fights. I believe that certain realities must be cherished in the name of their real magic but they are likely to become extinct in the journey toward civilization . I don’t even have the idea to photograph the atmosphere, the nature and the genuine children’s faces and eyes because everything seems insignificant in comparison with each little moment. That same night I went to sleep in my shed and the sounds of the forest kept me company, indescribable and unforgettable memories that I still have a lot of nostalgia. The sounds reflect the life within the forest : frogs, monkeys, birds , the wind that moves the leaves, the waves of the river hugging each other, lots of tiny animals that together compose music, and then suddenly, in the middle of the night, a big downpour. 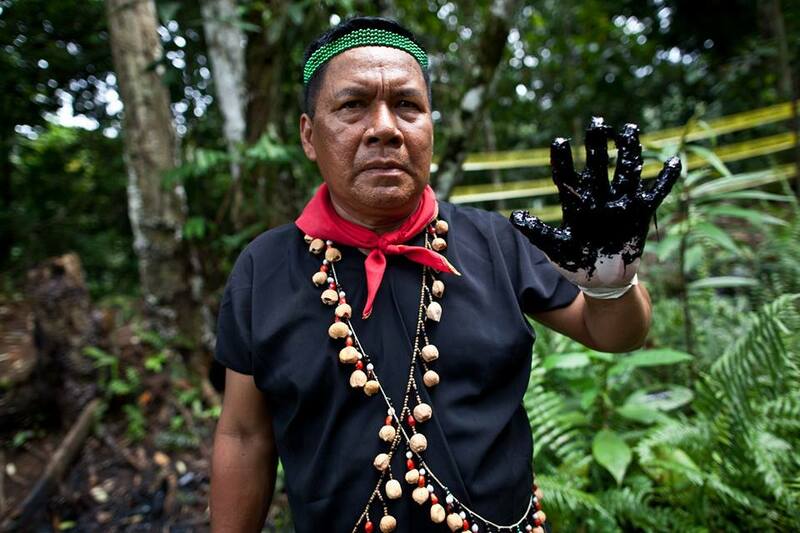 The next morning I met the tribal leader Huaorani , El Monca. He came with large dilated ears, a camouflage vest , jeans and blackrubber boots,equipped with a homemade blowgun. He began to tell about his long month constructing the blowgun which is attached to a container of arrows and a coconut leaf where it stored the cotton that rolls around the arrow, along with the teeth of piranhas and the curare. He tells us how and what he hunts, which includes pretty much everything: boas, monkeys, armadillos and several larvae. He speaks in the idiom quequa-spanish endowed with many onomatopoeia: ” fuuu ” to indicate the arrow spitting out the blowgun and ” ahh – matado ” verses of the animal at the point of death. He says that the Chinese oil company that is parked in their territory, provides economic aid in return for their indifference and support to their dirty work. This is one of the many dramatic aspects of this phenomenon, which in addition to causing grave environmental problems is also responsible for the degradation of these socio- cultural peoples. This form of subsidy that is dispensed daily to the tribal chief has transformed their ancient traditions, they no longer work in the village and their old habit of hunting with blowguns was disrupted by the use of guns. The people of the village often go to the city to buy goods, which are not in the forest (alcohol , cola and sweets) thus altering their traditionally natural and healthy habits. To me, this is a shame from all points of view . Finally, he spent a few minutes telling us some stories of many children and people within his village dying or severely injured with diseases arising mainly as a result of the ingestion of water of the river flowing near the well . We salute him and before he drifts away from the table on which rested his blowgun he asks me $5 in exchange for his long tale: yet another terrible consequence of the process of pseudo- civilization, if you can define it as such. I often think back and relive my few but intense moments in the forest thinking about the luck I’ve had in approaching this new reality, and I wonder if contact with the jungle and its people has the same emotional charge on other people that have passed through here. Maybe a few and perhaps those who have enough empathy and sensitivity to reflect on the fact that we are the only species that prevails over all other and especially on the most vulnerable, the poorest, most marginalized members of their own species.